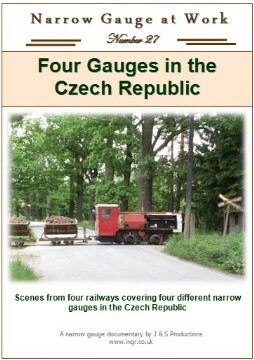 This DVD focuses on 4 railways in the Czech Republic of narrow gauges; 900mm, 760mm, 700mm, and 600mm. At least 2 of which were still in operation when this DVD was produced. 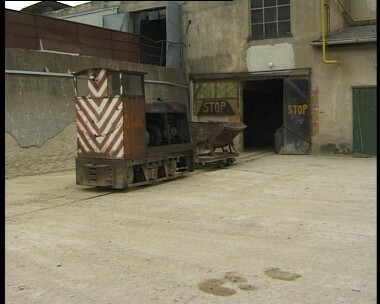 The large Deutz loco waits while the Slavia assists with loading skips in the background at Zliv. The Video was taken in June 2001. 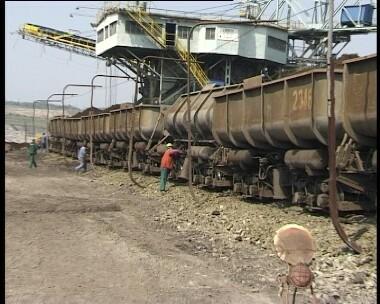 At Sokalov the standard BoBo electric locos could handle loads of up to 450 tonnes. 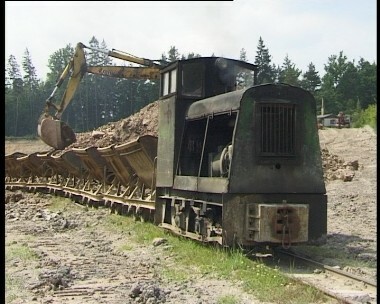 One of at least 3 Slavia diesels on the line pulls the skips forward for the excavator at Zliv. 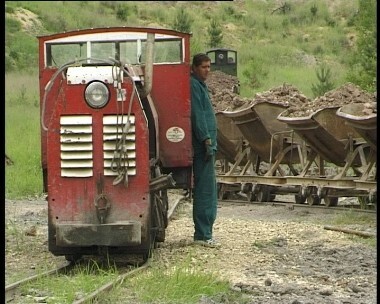 One of the shunters at the clay pits at Kemat Skalna seen in May 1998. Travelling to Nova Bystrice in the rain the Mallet U47-001 passes over a country road. 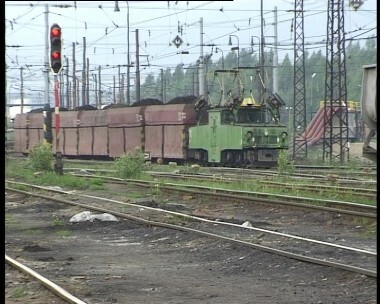 The tipping sheds are shunted by another Slavia diesel at Zliv. One of the standard class T47 diesels pass Hurky on the 760mm gauge JHMD in June 2001. 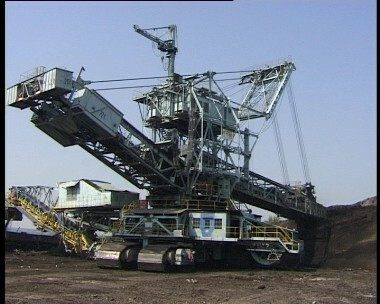 The 1000 series excavator was the largest in the Sokalov coal fields. 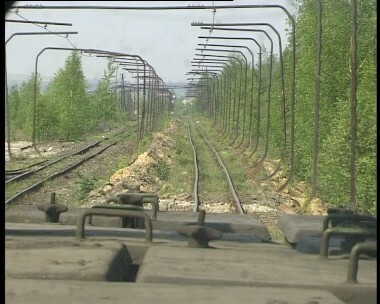 A drivers eye view through the cab of one of the large brown coal electric locos in May 1998. 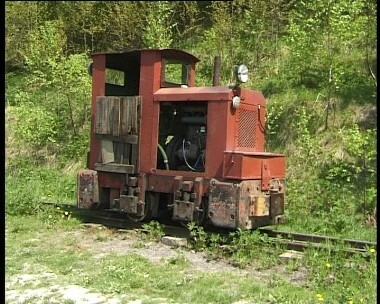 No.18, a Czech built BN30 loco pushed a rake of skips into the sidings at Katerina on the Kemat Skalna system. Arriving at the top of the incline at the pit at Zliv. 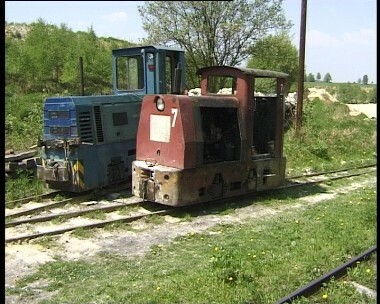 2 locos switching over trains at the clay pits of Kemat Skalna. 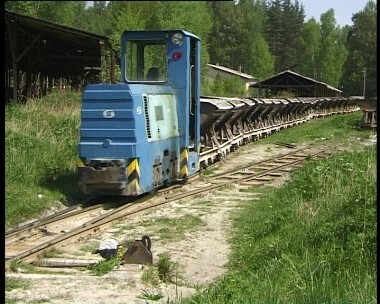 The blue loco behind is an ex-mines loco. 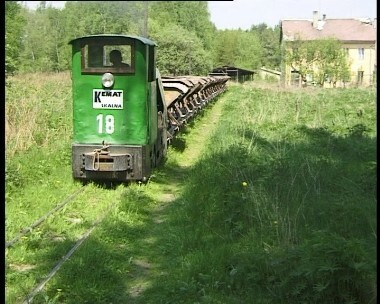 Gently backing in a long train of skips to the sidings for onward transport to the pits at Kemat Skalna. After the overburden was taken to a backfil point and tipped, another large excavator was used to dump it into the pit.